With the Easter holidays fast approaching, now is the perfect time to organise a great day out for the kids and get them outdoors! Our booking office is currently inundated with bookings and enquiries about our Young Gunz packages and due to high demand our centres are now open every day of the week over the coming months. A full day of paintball at a Delta Force centre is an unforgettable experience for any youngster. No other outdoor activity enables them to re-enact action scenes from their favourite films and computer games in the safest of settings. At Delta Force Paintball, we hold a 5-Star rating with the UKPBA (UK Paintball Association) which means we enforce the strictest safety standards to make your day with us run smoothly and as safely as possible. We are also proud of the fact that in our twenty years of operation, we have managed to maintain a first class safety record which makes us the safest paintball provider in the UK. Even though safety is our paramount concern, we never overlook the fun factor as having fun is what paintball is all about! At Delta Force Paintball, we’re renowned for the high quality of both our facilities and equipment. Our game zones are without parallel and we are the only paintball provider in the country to offer full head protection goggles, body armour and padded ninja suits as standard to all Delta Force customers. 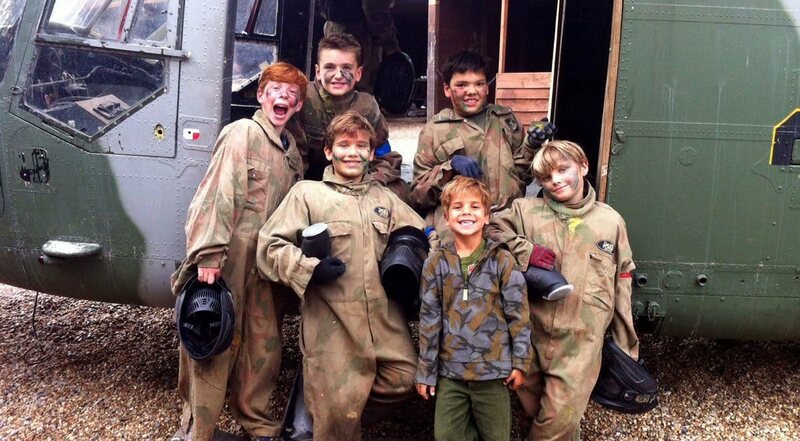 Parents or group organisers who aren’t interested in participating in the paintball games will be pleased to know that our basecamps offer all the major conveniences such as open air and covered seating areas, flushing WC’s, an on-site shop as well as free tea and coffee making facilities. Our centres are being booked up quickly for the Easter weekend so book your paintball event now to avoid disappointment – simply call our booking office on 0844 477 5050 or click here to request a call back. We look forward to hearing from you.